Tension Controller PA-2405 is suitable for the production with simple process, it is designed as a power amplifier and uses speed-control mode to get the purpose of tension control. It is power amplifier and is adjusted manually. The output could be controlled by external DC signal. 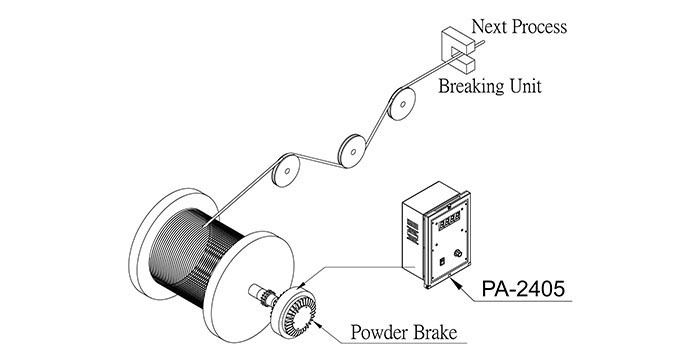 It could drive magnetic powder brake or clutch directly. ON and OFF state could be controlled by external signal. Rated output DC24V 4A max. Remote input, variable resistor, 5KW 5mA max.